Welcome to all Robi selected customers to know about the Robi Jhotpot Balance Service. Robi is the most popular and famous telecommunication company in Bangladesh. A large of mobile phone users are use this operator for their strongly network and minimum call rate service. Robi has announced to their valuable customers to enjoy exclusive minute and Internet Offer. Today I will discuss about the Robi Jhotpot Balance System. Now this operator has come to their user to enjoy up to 100Tk emergency balance. If you want to know about this service, please read this full article to get all more update information about this service. Customers can activate this service with dialing or SMS system. Robi all selected customers are eligible to get activate Emergency Balance Offer. To get Robi Jhotpot Balance, customers need to dial *123*007#. 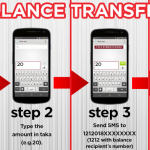 You can also get this emergency balance of SMS service, just type “START<>0” and sent to 8811. Customers can use this special Jhotpot balance to SMS, Call and internet service. We hope that, all customers got a clear idea about the Robi Jhotpot Balance Service. If you want to know more about this service, please comment our facebook page. We will try best to solve your problem as soon as. Thanks to all customers for being with us.